There should be a Facebook relationship status for "occasional drunk sexting"
12 Dating you to piss off my parents turned out pretty o.k. 18 I know it's our first date but there's room in my apartment for all your stuff. Just saying. 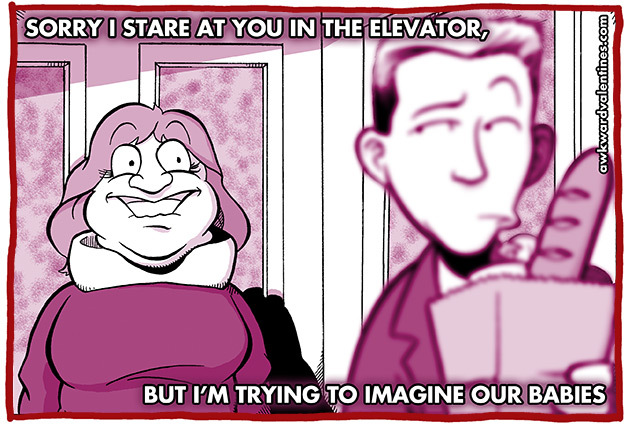 Here at AwkwardValentines.com, we don't like to feel emotions. They're messy and lead to heartache and restraining orders. Still, we understand that sometimes you just need to put it out there, and what braver way to say something than through an ecard? AwkwardValentines.com is the most convenient way to awkwardly say anything to your loved or not-so-loved ones around Valentine's Day. From booty calls to breakups, from love to hate, from boyfriend to girlfriend-of-your-best-friend, we've got you covered. Let Johnny the Awkward Cupid send a card via email to everyone you know. They're funny and they're free! Awkward Valentines are licensed under a Creative Commons Non-Commercial, Attribution 2.5 License and are intended for use by adults with a sense of humor. 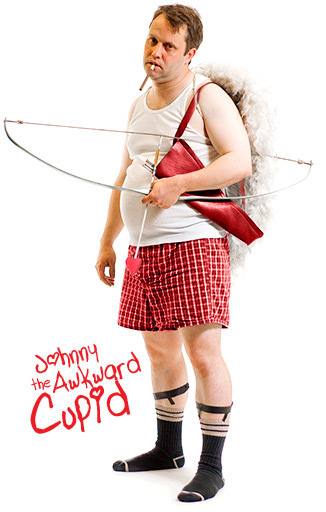 Johnny the Awkward Cupid is played by John Abbott.